Some ten years after he was analyzed in a compelling documentary, the King of Kong has finally been dethroned. 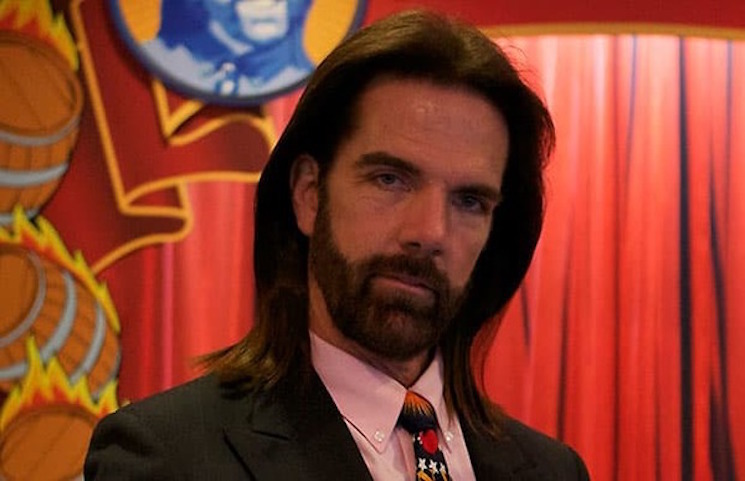 Yes, controversial Donkey Kong whiz Billy Mitchell has been stripped of all of his high scores and banned from competitive gaming. As Variety reports, arcade game haven Twin Galaxies have stripped Mitchell of his high scores after determining he completed his Donkey Kong score via an emulator. Their rules strictly state that the score must be achieved on an original hardware arcade game. After a lengthy examination, Twin Galaxies have determined that King of Kong underdog Steve Wiebe is the official world-record holder for Donkey Kong. They've notified the Guiness Book of World Records with their findings, and have banned Mitchell from all future competitions. Read their full, painstakingly detailed statement below. Based on the complete body of evidence presented in this official dispute thread, Twin Galaxies administrative staff has unanimously decided to remove all of Billy Mitchell's' scores as well as ban him from participating in our competitive leaderboards. On 02-02-2018 Twin Galaxies member Jeremey Young ( @xelnia ) filed a dispute claim assertion against the validity of Billy Mitchell's historical and current original arcade"Donkey Kong" score performances of 1,047,200 (the King of Kong "tape"), 1,050,200 (the Mortgage Brokers score), and 1,062,800 (the Boomers score) on the technical basis of a demonstrated impossibility of original unmodified "Donkey Kong" arcade hardware to produce specific board transition images shown in the videotaped recordings of those adjudicated performances. The rules for submitting scores for the original arcade "Donkey Kong" competitive leaderboards requires the use of original arcade hardware only. The use of MAME or any other emulation software for submission to these leaderboards is strictly forbidden. In addition to Twin Galaxies' own investigation into the dispute case assertions, at least two different 3rd parties conducted their own explorations and came to identical conclusions. – The taped "Donkey Kong" score performances of 1,047,200 (the King of Kong "tape"), 1,050,200 (the Mortgage Brokers score) that were historically used by Twin Galaxies to substantiate those scores and place them in the database were not produced by the direct feed output of an original unmodified Donkey Kong Arcade PCB. – The 1,062,800 (the Boomers score) "Donkey Kong" performance does not have enough of a body of direct evidence for Twin Galaxies to feel comfortable to make a definitive determination on at this time. – Of significant note is that it is very straightforward for anyone to check the authenticity of the 1047 performance source tape by just cross-referencing the digital capture video of the performance that has been posted in this dispute thread with the very public "King of Kong" movie gameplay footage along with its DVD extras. Twin Galaxies' recent efforts to build a dispute system for the purpose of allowing scores to be questioned in a centralized and documented manner have enabled all of the available evidence regarding Billy Mitchell's score performances to finally, after many years, be concentrated, examined and discussed by non-anonymous members of the gaming community and Twin Galaxies administration. This system has created a permanent body of evidence for examination. With this ruling Twin Galaxies can no longer recognize Billy Mitchell as the 1st million point "Donkey Kong" record holder. According to our findings, Steve Wiebe would be the official 1st million point record holder.